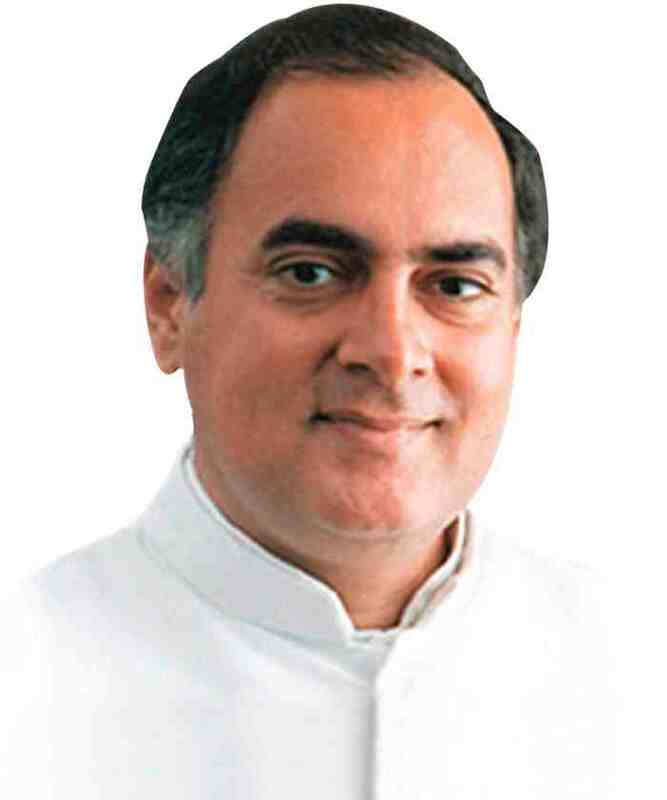 Rajiv Ratna Gandhi served as the Prime Minister of India, from 1984 to 1989. Let's take a look at his life history, family, achievements, contribution, and some interesting facts. 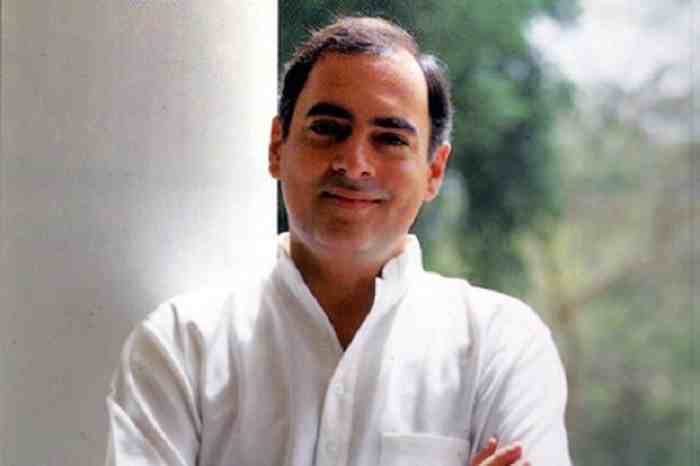 Rajiv Gandhi was born in one of the most prominent political families of India. He became the third generation in his family to become the Prime Minister of India - after his maternal grandfather, Pandit Jawaharlal Nehru and mother Smt. Indira Gandhi. He became the youngest Prime Minister of India at the age of 40. The developmental projects launched by him included the overhaul of national education policy and major expansion of the telecom sector. Rajiv Gandhi also emerged as one of India's more controversial Prime Ministers due to his alleged involvement in the Bofors scandal worth Rs. 640 million. His aggressive efforts to curb the LTTE in Sri Lanka led to his untimely assassination by the group in Sriperambudur in 1991. He was awarded the Bharat Ratna, India’s highest civilian recognition, posthumously in 1991. Rajiv Gandhi was born on 20 August 1944, into the country's eminent political dynasty - the Nehru-Gandhi family. His mother, Indira Gandhi was the first and the only woman Prime Minister of India. Feroze Gandhi, a key member of the Indian National Congress and the editor of The National Herald newspaper, was his father. Rajiv Gandhi initially attended the Welham Boys' School and subsequently went to the elite Doon School in Dehradun. Later, he went to the United Kingdom to study at the Cambridge University. Rajiv met Sonia Maino (later Sonia Gandhi) from Italy at Cambridge University. After his return from the United Kingdom, Rajiv Gandhi exhibited least interest in politics and focused onto becoming a professional pilot. He, later worked for Indian Airlines, as a pilot. Rajiv had no inclination to follow his family’s tradition and join politics. It was his younger brother Sanjay Gandhi who was being groomed to take up the helms of the political legacy. But Sanjay’s premature death in a plane crash changed Rajiv’s destiny. The senior members of the Indian National Congress party approached Rajiv Gandhi to persuade him to join politics but Rajiv was reluctant and said "no" to them. His wife, Sonia Gandhi, also stood by Rajiv's position of not entering into politics. But after constant request from his mother Indira Gandhi, he decided to contest. His entry was criticized by many in the press, public and opposition. They saw the entry of Nehru-Gandhi scion into politics as a forced-hereditary-participation. 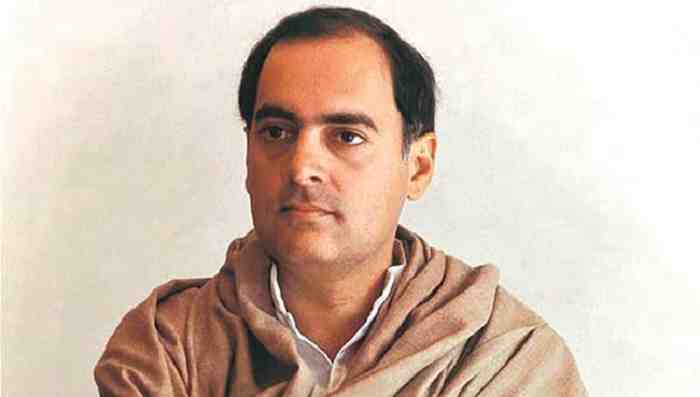 Within a few months of his election as a Member of Parliament from Amethi, Uttar Pradesh, Rajiv Gandhi acquired significant party influence and became an important political advisor to his mother. He was also elected as the general secretary of the All-India Congress Committee and subsequently became the president of the Youth Congress. Following the assassination of Indira Gandhi on October 31, 1984, by her bodyguards at her New Delhi residence, Rajiv Gandhi was sworn as the Prime Minster. The Congress Party, riding high on the tragedy, witnessed a landslide victory in the parliamentary following elections. The economic policies adopted by Rajiv Gandhi were different from his predecessors like Indira Gandhi and Jawaharlal Nehru. He introduced policies that bordered on light-footed reforms of the existing economic agenda of the country which was based on protectionism following a Soviet model. These reforms paved way for the more extensive linearization efforts of the economy in 1991. Another major decision during his tenure as Prime Minister was the decision to do away with the license and quota Raj. He reduced tax on technological industry, reformed import policies related to telecommunication, defense, and commercial airline. He put emphasis on introduction of contemporary technological advances in various sectors, thus modernizing industries to attract higher foreign investment in the economy. His efforts to reduce the ‘Red Tape’ culture existing in the government economic and financial processes were aimed at encouraging the establishment of the private sector. In 1986, Rajiv Gandhi announced a "national education policy" to modernize and expand higher education programs across India. Rajiv Gandhi brought a revolution in the field of information technology and telecom. The idea led to setting-up of the Mahanagar Telephone Nigam Limited, popularly known as MTNL. 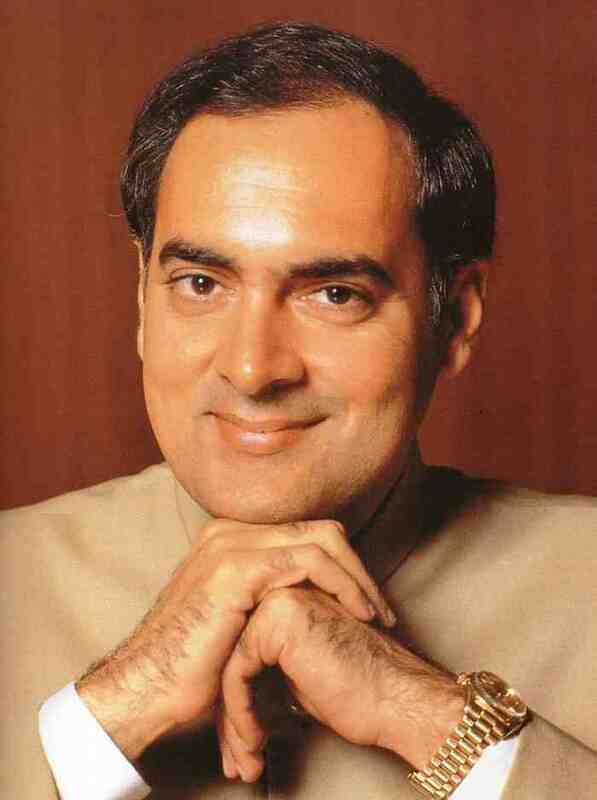 Rajiv Gandhi was the man to transcend telecom services to the rural India or "India in true sense". As Prime Minister, Rajiv Gandhi endeavored to eliminate the corrupt and criminal faces within the Indian National Congress party. With reference to the Shah Bano case, Rajiv Gandhi led Government sought to pass the Muslim Women (Protection of Rights on Divorce) Act in 1986, which was a reversal of the sentence ruled by the Supreme Court. The Government’s decision to uphold Islamic provisions that were unfair to women, made it look "retrogressive obscurantism for short-term minority populism". Going against the traditional socialism, Rajiv Gandhi decided to improve the bilateral relationships with the United States of America and subsequently expanded the economic and scientific cooperation with it. A revived foreign policy, emphasizing on the economic liberalization and information and technology moved India closer to the West. As the Prime Minister of India, Gandhi ensured stronger economic ties with the United States. He promoted the Gandhian philosophy of non-violence at the United Nations General Assembly by declining to join the Nuclear Weapon bandwagon and vocalizing in favor of a “Nuclear-Weapon Free and Non-Violent World Order”. He decided to lend his helping hand in dealing with domestic issues of several neighboring countries. In 1988, Maldives faced a coup and they sought Rajiv Gandhi’s help. He readily ordered the deployment of the Indian Army in an operation code-named Cactus. During the Sri Lankan Civil War, Gandhi sent the Indian Peace Keeping Force to the country to protect the civilians. (1) Along with ex-gratia payment to those innocent killed in agitation or any action after 1-8-1982, compensation for property damaged will also be paid. (2) All citizens of the country have the right to enroll in the Army and merit will remain the criterion for selection. (3) For all those discharged, efforts will be made to rehabilitate and provide gainful employment. The Bofors Scandal was a major black mark on the political image of Rajiv Gandhi. The then Finance Minister turned Defense Minister, V. P. Singh, uncovered details of corruption involving the Government and a Swedish arms company called Bofors. The company allegedly paid the Indian Government millions of dollars, 640 million to be exact, in return for contracts for the Defense Department. The deals were being mediated by Ottavio Quattrocchi, an Italian businessman who was a close associate of the Gandhi Family. Top tier Congress leaders along with PM Rajiv Gandhi were implicated in the scandal, and were accused of receiving kickbacks from Bofors for winning a bid to supply India's 155 mm field howitzer (a type of artillery piece). Although Rajiv Gandhi’s name was later cleared in 2005, the media storm that the scandal kicked up ultimately led to his abysmal defeat in the 1989 elections. In 1987, the Indian Peace Keeping Force was formed to end the Sri Lankan Civil War between the Liberation Tigers of Tamil Eelam (LTTE) and the Sri Lankan military. The acts of the Indian military contingent was opposed by the Opposition parties of Sri Lanka and as well as LTTE. But, Rajiv Gandhi refused to withdraw the IPKF. The idea also turned out to be unpopular in India, particularly in Tamil Nadu. The IPKF operation cost over 1100 Indian soldiers and a cost of over Rs 2000 crores. The widespread feeling of malice against Rajiv Gandhi prevailing in Sri Lanka was evident when an honour guard Vijitha Rohana tried to injure Gandhi by hitting him with the rifle on July 30, 1987. Gandhi was in Colombo to sign the Indo-Sri Lanka Accord which was expected to resolve the tensions caused by the Civil War. On 21 May, 1991, on his way towards the dais, Rajiv Gandhi was garlanded by many Congress supporters and well-wishers. At around 10 pm, the assassin greeted him and bent down to touch his feet. She then exploded an RDX explosive laden belt attached to her waist-belt. The act of violence was reportedly carried out by the Liberation Tigers of Tamil Eelam (LTTE), in retaliation to the involvement of Indian Peace-keeping Force (IPKF) in Sri Lanka.